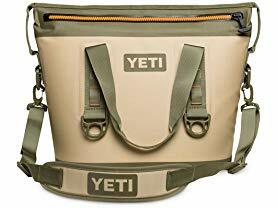 Get by Christmas one of these YETI Hopper Two Portable Coolers $199.99 - $274.99. The Hopper Two is your leakproof, portable, ultra-durable soft-sided cooler. It boasts superior cold-holding power, easy loading (and unloading), and extreme visibility. Plus, the tapered body shape is comfortable to haul and the exterior shell is designed to take some serious field abuse. So enjoy your time outdoors without worrying about your gear — the Hopper Two has you covered..